Based in Blandon, Pennsylvania, ABBAKA has been a part of the kitchen and bath industry for 30 years and member of the National Kitchen & Bath Association. Each hood is hand built by mastercraftsmen of several American elite custom metal works, bringing 85 years of experience and the combined skills of three generations. The most technologically advanced and broadest range of U.S. built ventilation systems are combined with the cutting edge in hood design. National distribution, sales and service is provided from the most skilled and practiced appliance specialists across the country. 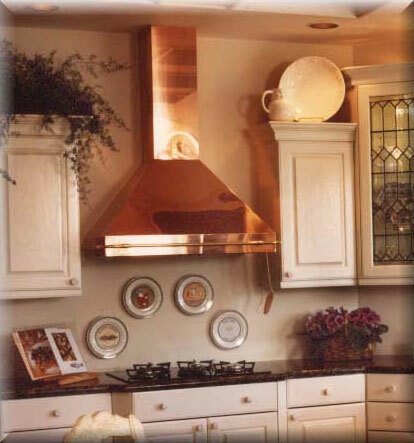 The ABBAKA Original, introduced in 1981, created the market for euro kitchen range hoods and copper range hoods. ABBAKA continues to lead the way with the introduction of ever newer designs and finishes to fit the changing trends and tastes. We provide complete custom design engineering and consultation from your concept to manufactured hood. Formal quotations are made for each job delineating your project specifics. We build one hood at a time for one kitchen at a time. The process of cooking ventilation must be expressed as a piece of metal artwork. Aesthetics and performance are of equal value and importance. We believe that a hood should be more than an appliance, that it is an integral part of the kitchen design.